With the influenza season approaching in the northern hemisphere, vaccination is a means of preventing infection. 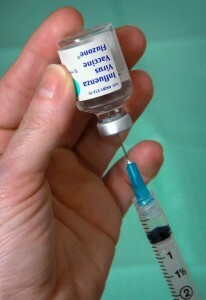 If you have egg allergies, you no longer have to worry about receiving influenza vaccine. Presence of egg allergy is not a contraindication to receive IIV or LAIV. Influenza vaccine recipients with egg allergy are at no greater risk for a systemic allergic reaction than those without egg allergy. Precautions, such as choice of a particular vaccine, special observation periods, or administering in particular medical settings, are not warranted and constitute an unnecessary barrier to immunization. Vaccine providers and screening questionnaires do not need to ask about the egg allergy status of recipients of influenza vaccine.